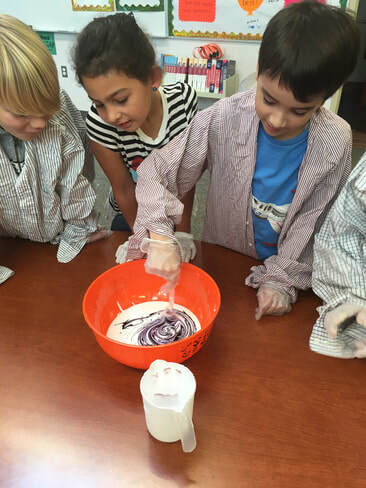 At Eagle Creek, we like to get our hands dirty! 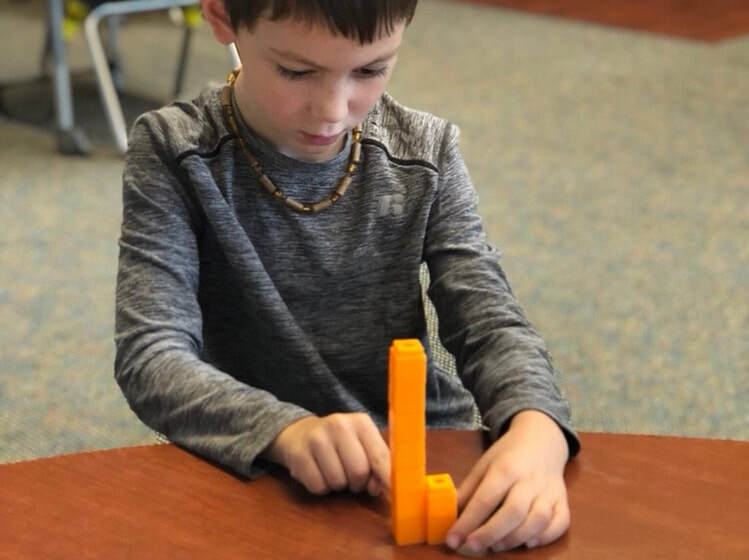 Students in first grade begin math lessons using hands on material. Clark is using the Unifix Cubes to find the missing number in an addition sentence. Grade 4: Living the Plant Life! In 4th grade science, students began the unit by taking apart various flowers, examining them closely, and determining how to categorize parts. Each group was able to choose for themselves how to classify the flowers- they just had to explain why groupings were picked. This process led to a fruitful discussion amongst groups about why and how actual scientists classify the plant kingdom. 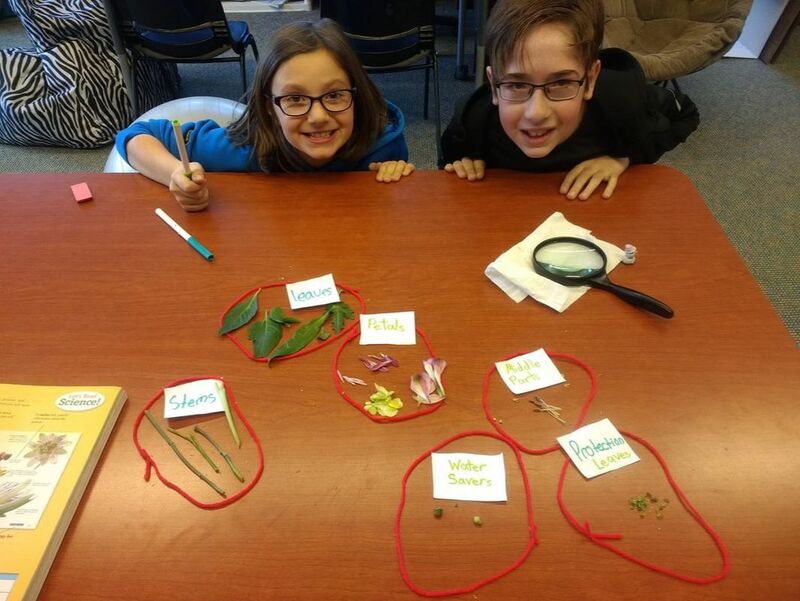 4th graders were truly living the plant life! 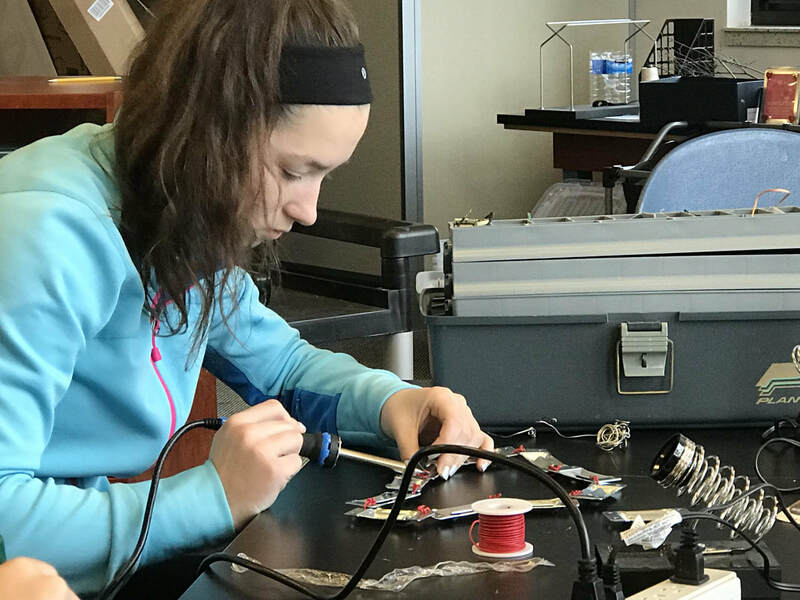 The middle school students created maker proposals this month. They researched and submitted their idea on what they wanted to work on. Students choose wood burning projects, 3D Pen projects, stop motion projects, sewing projects and soldering sculpture projects. As they have finished they have been assisting classmates or choosing new activities. They love the freedom and choices and I love the creativity and skill building. These 1st grade students wanted to know more about leaves. 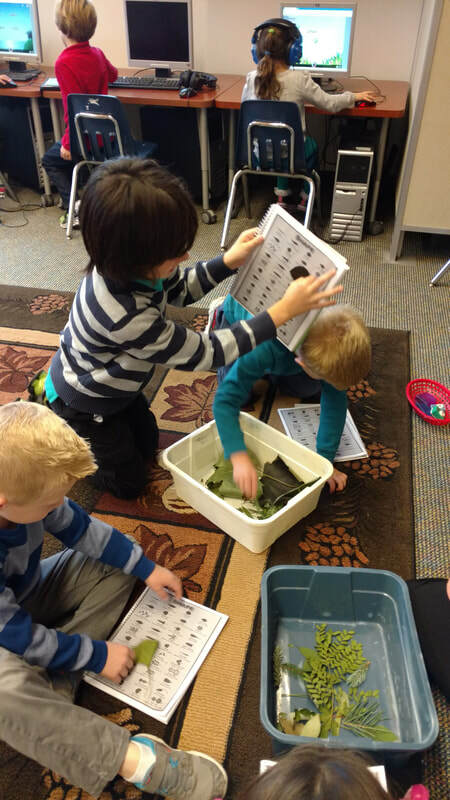 Their teachers, Mrs. King and Mrs. Minton, designed a special lesson for them about leaf shapes. They had a chart with scientific terminology describing the common shapes of leaves, and they were matching their leaf samples to the chart. This was a great way to learn tricky observation skills and new vocabulary. It also encouraged the children to ask questions and think more deeply about why different plants have differently shaped leaves. First, the students researched dogfish sharks and wrote informative essays about them. Then, they each chose a different shark species to research and did a unique project of their own design. Finally, they got up-close and personal with real sharks, studying their internal organs and comparing what they expected to what they found. How scientific! 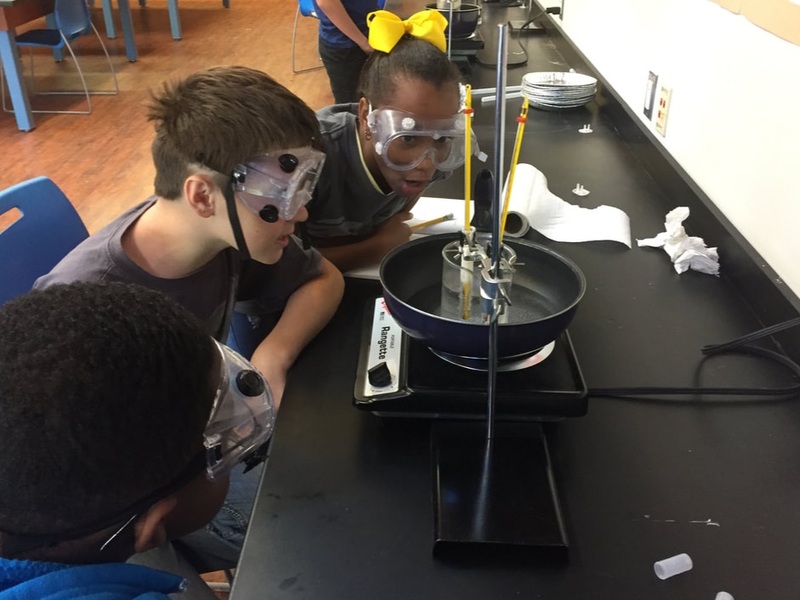 In this photo, the students are melting soap and vegetable oil. After melting several substances, they decided that the melting point is the temperature at which the substance begins to change from a solid to a liquid. The students also took notes on the properties of each substance so they could determine what makes a substance have a higher melting point. 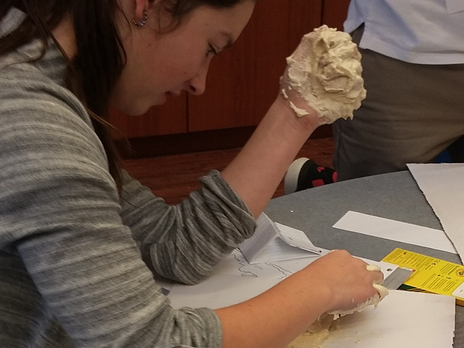 This is a hands-on way of letting students discover the theories of science on their own. Students are learning about kinetic energy by observing the impact a crater makes when it hits a surface. 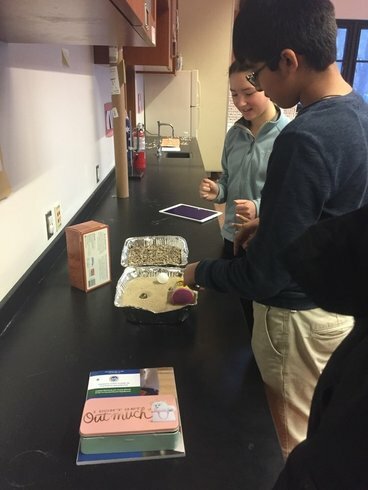 In this experiment, they are simulating a crater by dropping an object into a tray of sand and comparing the sizes of each crater created by different objects. While classifying angles and identifying lines, line segments, and vertices, the third grade students created geometry stars. 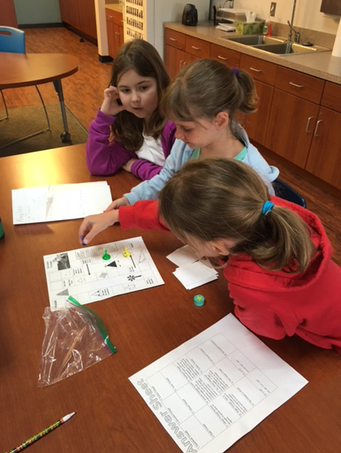 Then, the students worked collaboratively to sort 3-D polygons into separate groups according to their attributes. 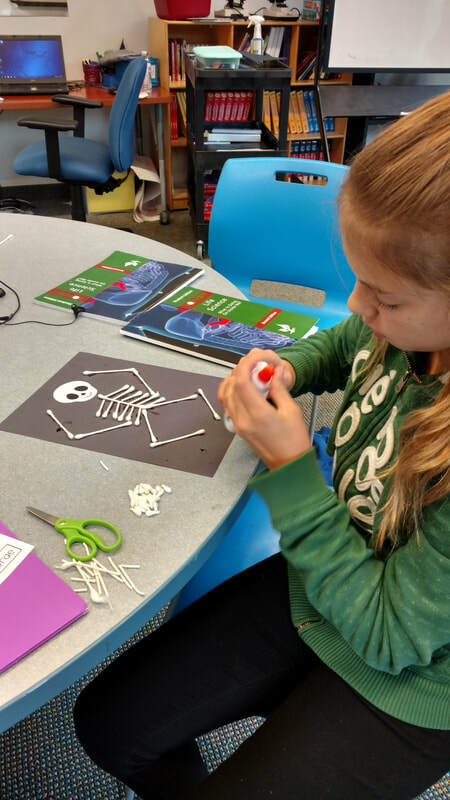 Their favorite activity was using toothpicks and clay to make models of the various types of lines, angles, quadrilaterals, and polygons. Learning with their hands helps them remember the terms and truly understand the concepts. 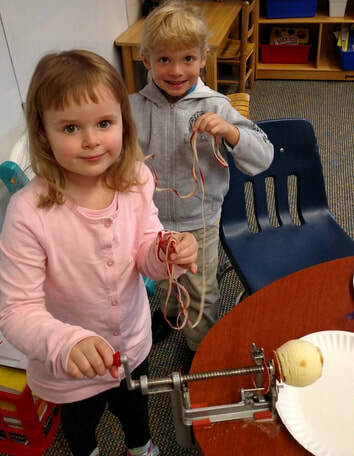 The Kindergarten students worked in groups to design and build marble runs using cardboard tubes and tape. The challenge was to make the marble go as slowly as possible. After a lot of experimenting, the children discovered that lateral tubes made the marble move more slowly than vertical tubes. Nice work, Kinders! 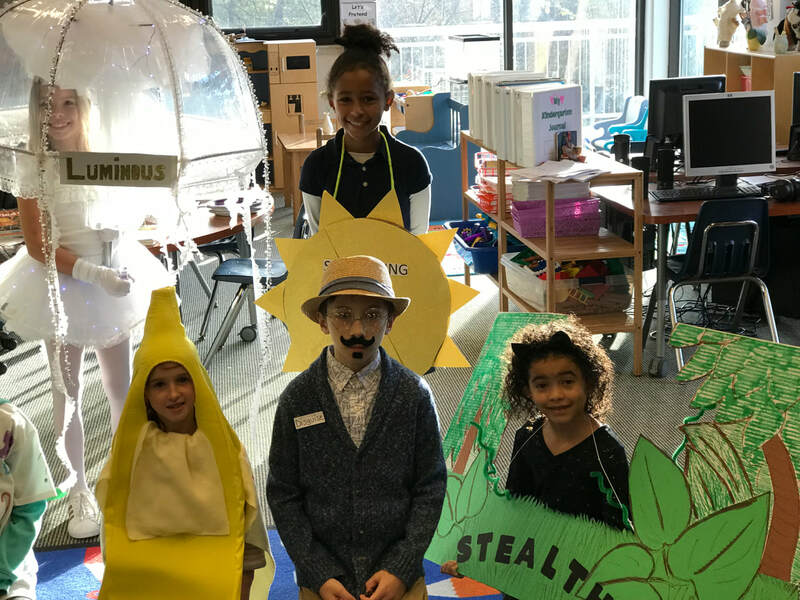 After reading the book Miss Alaineus: A Vocabulary Disaster, third and fourth grade students had a Vocabulary Parade. Each student chose an interesting word to depict. The students then went from classroom to classroom parading their words and teaching them to others. 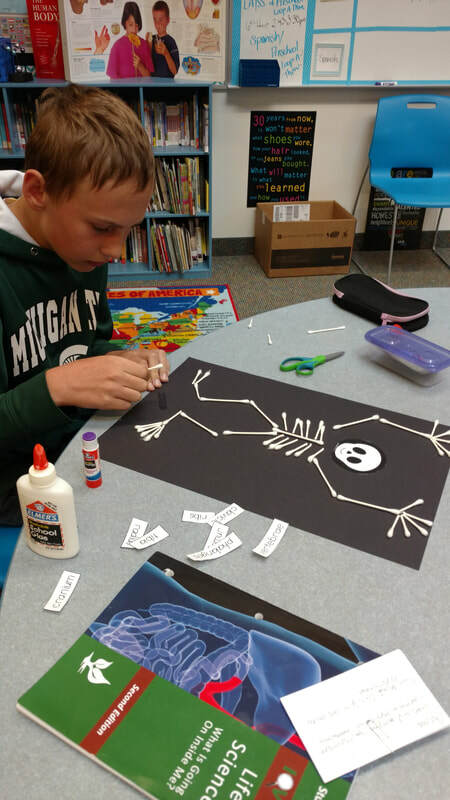 The middle school children decided to have a little Halloween spirit as they studied the major bones of the body. Our students work very hard so it's nice to see them have a little fun. 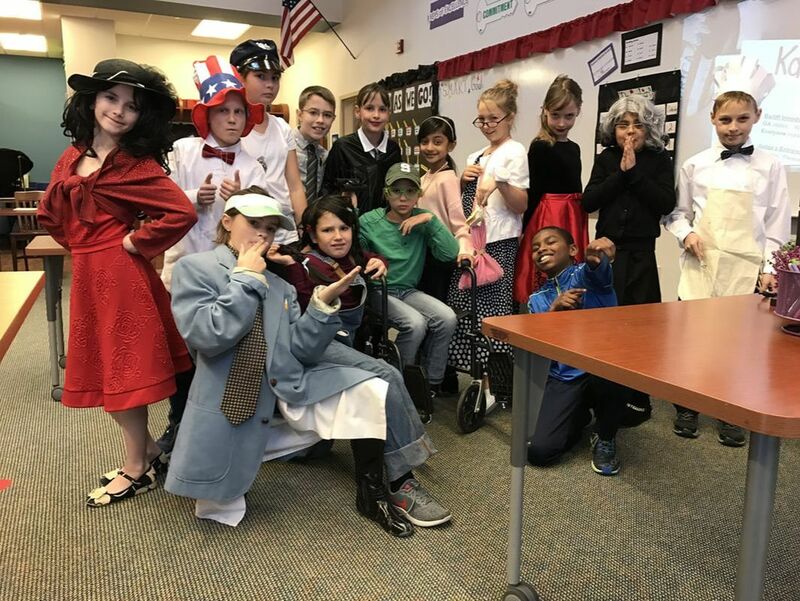 At the conclusion of each novel read, our fifth grade students are challenged with a real-world project-based learning assignment. Students read the award-winning novel, The Westing Game. After, they created a mock trial incorporating the novel’s bizarre chain of events. Students worked in small groups to prepare for the trial by researching the judicial system. They wrote a script, and had to design a costume to wear during the performance that would combine an assigned Westing Game character with a courtroom role. 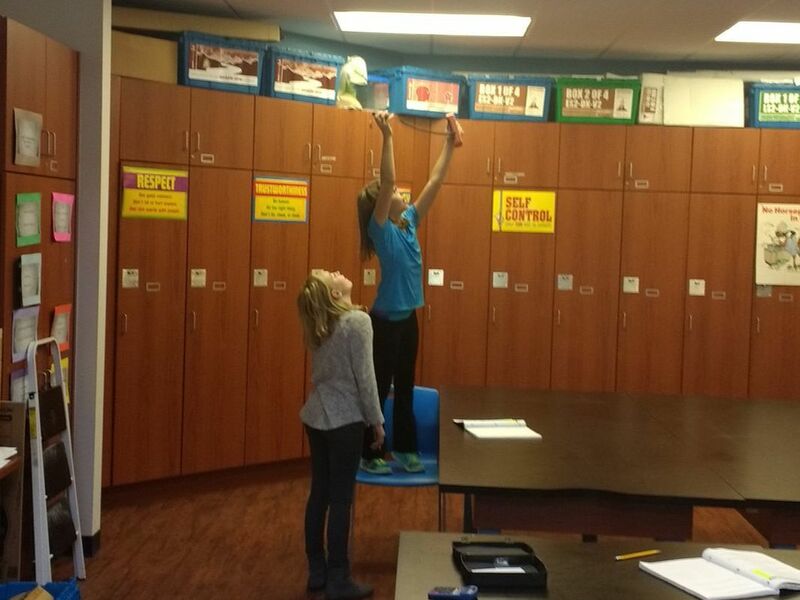 Students used light sensors to detect the similarities and differences in the amount of light given off at different locations in the room. Students noticed that when the sensor was pointed away from the light, it sensed less light. This led them to the conclusion that reflected light is not as strong as direct light. They also pointed out that the light sensor is like an eye because it detects light, but unlike an eye because it cannot detect objects. It was extremely fun! 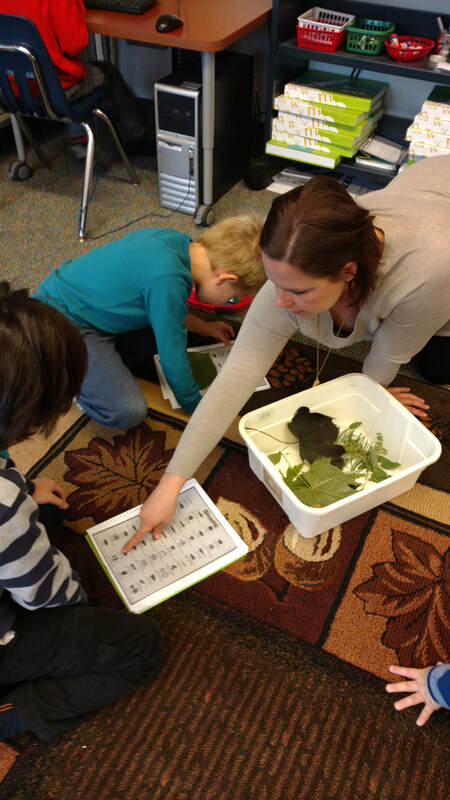 ​Third grade students are studying plants and living things. They are able to see how water and nutrients travel through the leaf's xylem tubes through capillary action. 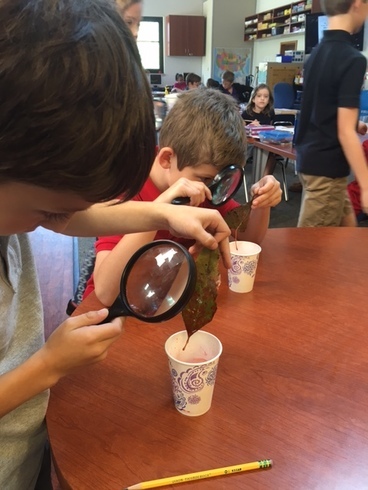 The students are using a magnifying glass to look closely at the path the red water has taken through its leaf. 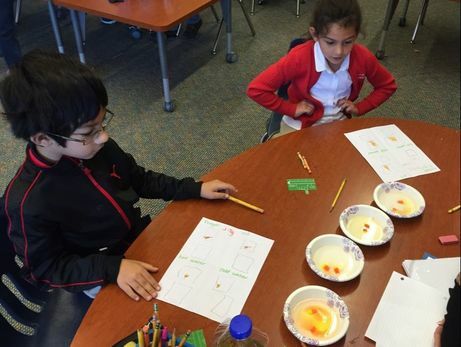 Students had to predict which liquid -- hot water, cold water, vinegar or vegetable oil -- would change the candy corn the most. First, they wrote a hypothesis. 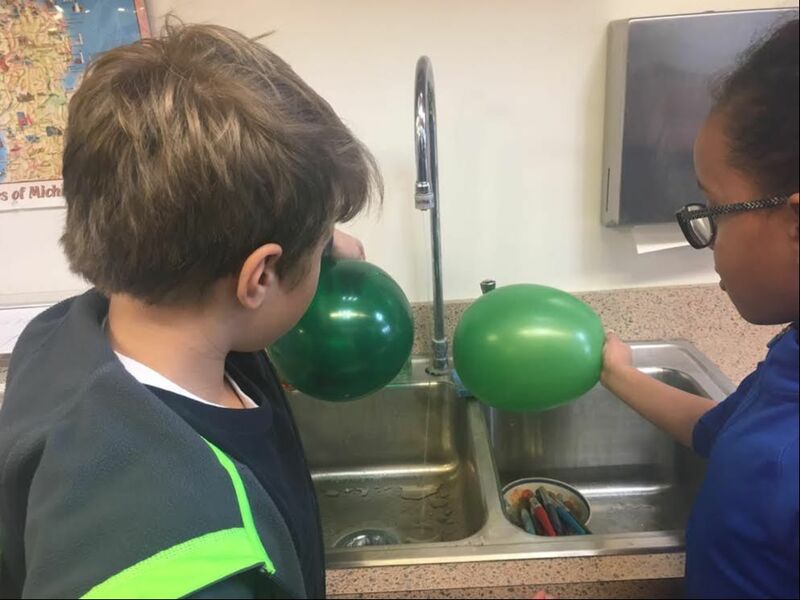 Many students predicted the oil would make the biggest change since it was the thickest liquid, but they quickly learned that hot water had the biggest effect. After we cleaned up, we drew pictures and wrote down our conclusions. 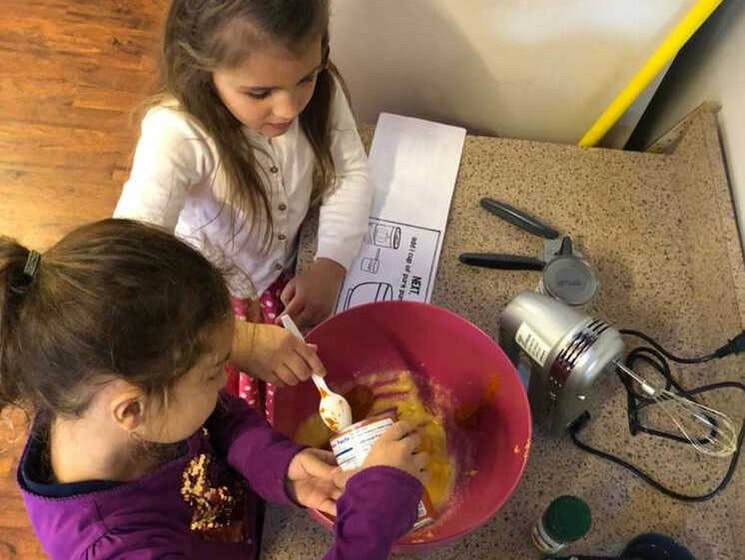 Since we had done the hands-on activity, their pictures and conclusions were much more detailed and explanatory than they would have been if we had just talked about what heat can do. Grade 1: We Have a New Pet! 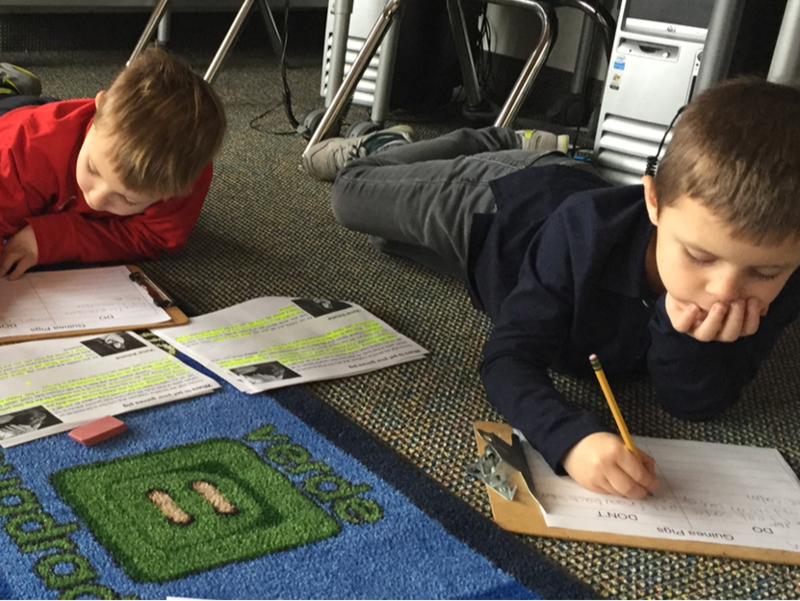 First graders spent a week researching all about guinea pigs. They read a wide variety of genres and determined the author’s purpose for each type of literature. They practiced highlighting important information in their sources and compiling information. Once their research was done, they had to apply what they learned about guinea pigs to create a do’s and dont’s list about guinea pig care. They were then asked to synthesize all they had learned in order to create a comfy guinea pig hidey-house. Last, the teachers surprised the class by announcing that first grade was now prepared to have a class pet! They will use all of their new knowledge to take care of their new pet. In this short video, students explain how Magnesium and Oxygen react to form Magnesium Oxide.